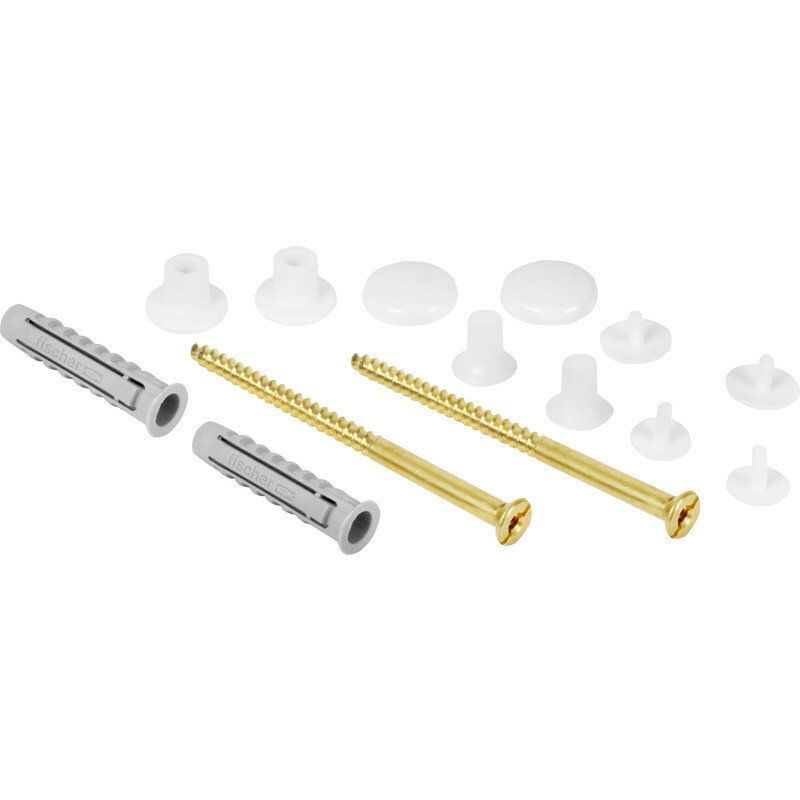 Fischer WC / Bidet Fixing Kit Vertical Fixing is rated 4.7 out of 5 by 3. Rated 5 out of 5 by have a go from good for the job bought to fix cistern to wall, good to have long screws as this allows for the shape and thickness of the cistern to be accommodated and still leave enough screw length to give a firm fixing. Was really useful as my walls are all board and dab so need to clear the gap before it will reach any solid fixing surface. Rated 5 out of 5 by Pussinboots from nice I like these they don't stick out like most of the others. Rated 4 out of 5 by Keith2 from A good kit A good fixing kit. Screws longer than necessary, I cut them down by 20mm.